Unique and sentimental, a bouquet of flowers is the answer to many occasions both formal and informal. Birthdays, anniversaries and of course valentines, there is little that cannot be said with a beautiful arrangement and with our excellent delivery options and dedicated service, there is little more to ask for. Pink flowers are also focused on females and are especially popular around Mother’s Day when it is by far the number one sought after colour. Pink rose bouquets in particular are given as gentler meanings of the red ones. As such, they are perfect for newly met couples who are falling in love, but may not be ‘there’ yet. Pink flowers come in many great varieties including roses, gerberas, calla lilies, anthurium, tulips, lilies and even tropical flowers like ginger. 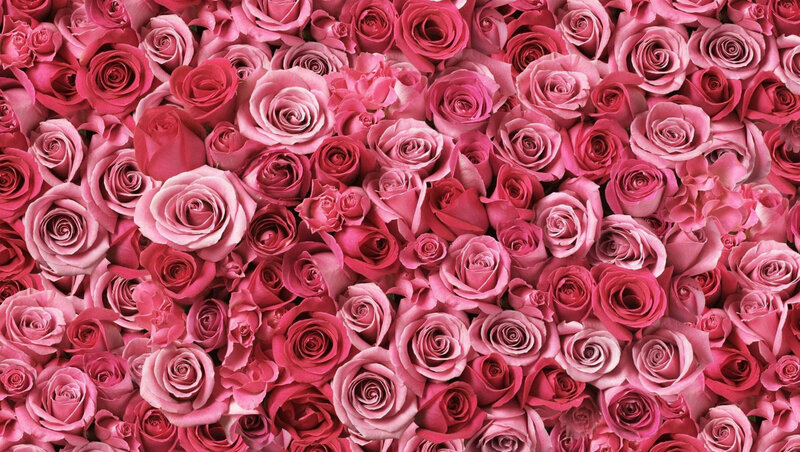 They also come in different shades, with darker shades symbolizing gratitude, whilst lighter pinks communicate youthfulness, energy, happiness and admiration. Making your online flowers and plant ordering easier every day is what we’re try to achieve here at FlowerStation.co.uk. We all know that nothing says I Love You, or Have a Wonderful Day like a fresh bouquet of flowers. Whether you’re after a single long stem red rose, a mass of gerberas, a tropical flower bouquet, tropical flower arrangements, or even some good value plants – you can rest assured that we will be able to provide them. What’s more is that we will also deliver quickly and efficiently to the destination of your choosing. If this is London, even better as all London flower deliveries are absolutely FREE of charge. Your favourite London florist is even here to take care of your floral needs 24 hours a day, 7 days a week. So, no matter where you are today on this planet, we are always awake and ready to serve you. Call us now on 0044 207 724 7525 and make your loved one’s day today. All same day deliveries must be ordered by 6pm (UK time). Pink bouquets are perfect for welcoming a baby girl into the world and our florists work hard to make each arrangement tailored and suited to the particular requirements of individual customers. Q. What are the best flowers to order for a new-born? A. Depending on preference, a pink arrangement for a girl and a predominantly blue coloured bouquet for a boy. This is, of course, only a suggestion and traditional colour distinctions do not have to be followed. For example, it is often preferable to send an orange and yellow bouquet for a baby born in the summer months. Q. When is the soonest you can deliver? A. Depending on the delivery option you choose, we can deliver a hand-made, freshly tied bouquet within 3 hours to the London area.